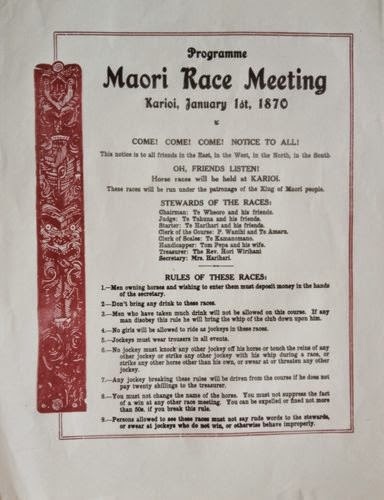 Letterpress Poster for "Maori Race Meeting"
Early NZ letterpress prints & posters have always caught my eye. 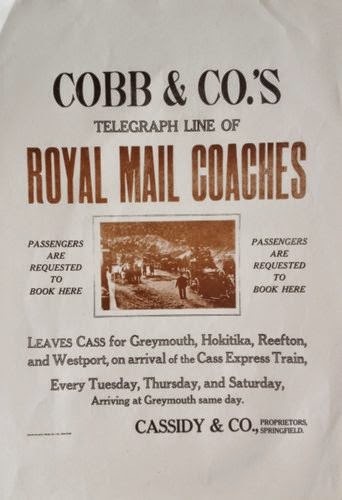 They show a skill in execution and composition using a very hands on printing process so at odds with the computer driven designs of today. As decoration they are whimsical, sometimes serious, and even toe curlingly cringemaking - but always fascinating historical content to start a conversation. What's not to like! We have several "new" letterpress prints in stock, although they are re-prints of the original vintage designs they are authentic letterpress posters, cold type assembled by hand, which makes them a pretty sincere reproduction of the rare original posters which can now only be found in NZ museums or collections like those at the Turnbull and Hocken Libraries.